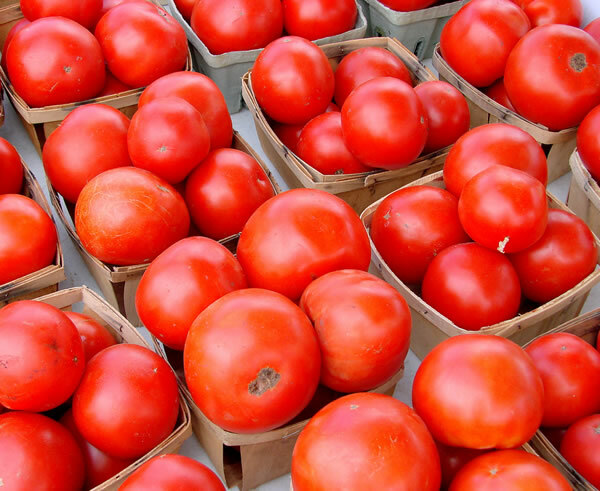 Lycopene is a red, fat-soluble pigment found in vegetables, and most commonly found in tomatoes. It is one of a family of pigments called carotenoids. Carotenoids are naturally occurring pigments responsible for the brightly colored fall leaves and the vivid colors of flowers, fruits, and vegetables. In fruits and vegetables, these pigments range in hue from bright yellow in squash, to orange in carrots, to bright red in tomatoes and peppers. 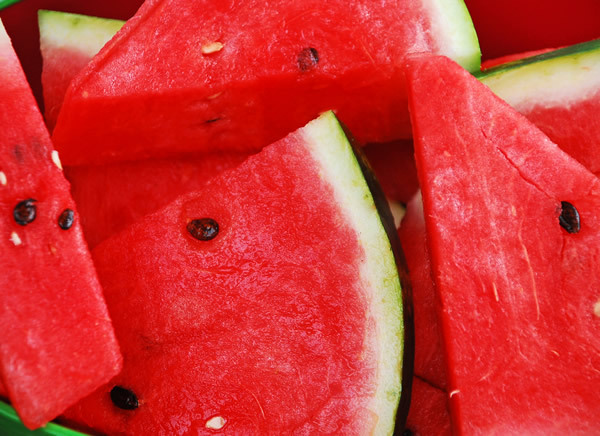 Although the human body does not produce lycopene, it is readily available through the diet. Minor sources include guava, rosehip, watermelon, and pink grapefruit. However, about 85% of lycopene in the U.S. diet comes from tomatoes and tomato products such as juice, soup, sauce, paste, and ketchup. A diet rich in carotenoid-containing foods is associated with a variety of health benefits. Once lycopene is absorbed in the body, it is deposited widely in the liver, lungs, prostate gland, colon, and skin. Its concentration in body tissues tends to be higher than most other carotenoids. Working as a powerful antioxidant, lycopene fights free radicals—highly reactive molecules that damage cell membranes, attack DNA, and cause disease. Studies have found that patients with HIV infection, inflammatory diseases, and high cholesterol levels (with and without lipid-lowering treatment) may have depleted lycopene serum (blood) levels. In contrast to other carotenoids, serum levels of lycopene are not usually reduced by smoking or alcohol consumption but rather by increasing age. A number of studies have indicated that a lycopene rich diet lowers the risk of certain chronic diseases such as cardiovascular disease, cancer, and age-related macular degeneration . In its role as an antioxidant, lycopene prevents the oxidation of low-density liproprotein (LDH), the “bad” cholesterol that leads to atherosclerosis (hardening of the arteries) and coronary artery disease. As serum lycopene levels rise, the levels of oxidized lipoprotein, protein, and DNA compounds go down, thus lowering the risk of heart disease. Individuals with high levels of lycopene are half as likely to have a heart attack than those with low levels, according to one study. Researchers have found a strong relationship between lycopene intake and reduced risk of cancers of the prostate and pancreas. In several studies of these cancers, lycopene was the only carotenoid associated with risk reduction. In late 2001, the first clinical intervention trial of prostate cancer patients showed that supplementation with lycopene helped slow growth of prostate cancer. In fact, the spread of prostate cancer was reduced by 73%. Consuming tomato products twice a week, as opposed to not at all, was associated with a reduced risk of prostate cancer of up to 34%, according to a study conducted by the Dana-Farber Cancer Institute. Of the 46 fruits and vegetables investigated, only tomato products showed a measurable association with reduced risk of prostate cancer. There is also medical evidence to suggest that a high intake of lycopene-rich tomato products is associated with a reduced risk of developing cancers of the lung, breast, cervix, and gastrointestinal tract. Lycopene (as well as other carotenoids such as lutein and beta-carotene) may also help prevent macular degenerative disease, the leading cause of blindness in people over the age of 65. Lycopene is the only micronutrient whose serum level was shown to be inversely related to the risk of age-related macular degeneration. In late 2001, a study showed that lycopene may also help relieve exercise-induced asthma symptoms. Although the major sources of lycopene for humans are tomatoes and tomato products, bioavailability from different food items varies considerably. Cooking fresh tomatoes with a source of fat, such as olive oil in spaghetti sauce, enhances the body’s absorption of lycopene, since lycopene is fat-soluble. By heating the tomatoes, the bound chemical form of lycopene is converted into a form that is more easily digested. In fact, one study showed that lycopene is absorbed 2.5 times better from tomato paste than from fresh tomatoes. Although no dietary guidelines have been established, research shows that drinking two cups (about 540 ml) of tomato juice per day provides about 40 mg of lycopene. This is the amount recommended to significantly reduce the oxidation of LDL cholesterol, according to one human dietary intervention study. The approximate lycopene content of tomatoes and tomato products, based on an analysis by a number of laboratories (mg/100 g wet weight) are listed below. Although lycopene is available in concentrated capsule form and in combination with other vitamins, such as vitamin E or multivitamin preparations, there is inadequate evidence to conclude that supplements are more beneficial than the lycopene consumed in foods. 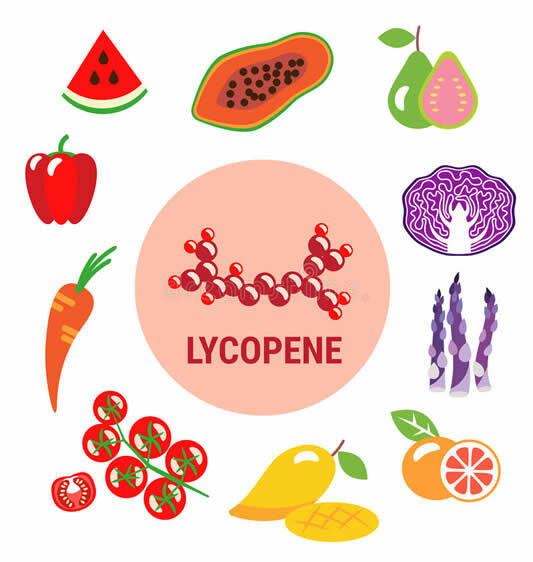 Since most of the health benefits of lycopene have been ascertained from studies of estimated dietary intake or blood concentrations, as of the year 2000, researchers recommend that individuals consume a diet rich in carotenoids and an array of fruits and vegetables rather than turning to lycopene supplements. The United States Department of Agriculture reported in 2001 that people intake an average of 10.9 mg per day. There are no known precautions regarding lycopene itself. However, there are a number of indirect problems that may result from consuming excessive amounts of tomatoes or commercially prepared tomato products. Although processed tomato products are the richest source of lycopene in the diet, ingesting tomatoes may aggravate certain health conditions. As a member of the nightshade variety of plants—which includes eggplants, potatoes, peppers, paprika, and tobacco—tomatoes have been strongly and consistently linked with certain forms of arthritis, particularly rheumatoid and osteoarthritis. One theory maintains that the alkaloids (alkaline chemicals) in the nightshades are deposited in the connective tissue, stimulate inflammation, and then inhibit the formation of normal cartilage. As a result, joint cartilage continues to break down and is not replaced by new, healthy cartilage cells. Another indirect precaution is that processed tomato products usually contain large amounts of sodium,unless the product is labeled low-sodium or salt-free. An excess amount of sodium in the diet can exacerbate high blood pressure. Although extensive research has not been conducted, there have been no reported side effects or toxicity associated with lycopene intake. Research into the interactions of lycopene with food, drugs, or diseases has not been conducted as of the year 2000.